Bring a friend with car knowledge with you to the dealer. Examine the paint on vehicles that interest you. Can you see touch ups that may indicate the presence of rust or that the car has been in a crash? Pull the dip stick from the oil reservoir. Is the oil clean and is it at the correct level? Inquire if the auto can be placed on the lift in the mechanic’s bay so that you can better examine the undercarriage. Look at the maintenance history of the car. Have tune-ups occurred as recommended? Have there been any major replacements or recalls? View the vehicle history report to learn if the car has been in a collision or was flooded. Ask about the prior owner. Why was the car sold? Let your own mechanic inspect the vehicle. Decide how to pay for the car. Will you need a no down payment auto loan with medical debt? Test drive in different weather and road conditions, if possible. 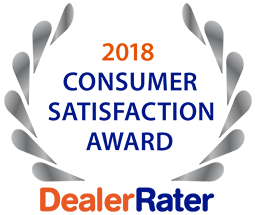 Stop by 5 Star Auto Plaza to browse our extensive inventory or call us at (636) 940-7600 with questions about a specific auto or financing options. Take advantage of our used car tips buying with poor credit in O’Fallon.